Brooklyn offers a diverse real estate market from new construction to houses in need of renovation even tear down. Before you either list your home or purchase a home in Brooklyn, you should conduct a thorough home inspection of the structure. It’s crucial to know what you are buying, what condition it is in, and what it might cost you to bring it up to code, safety, or desirable state. Purchasing without an inspection is a serious gamble in an expensive market such as Brooklyn and its surrounding boroughs. We have worked as reputable and ethical home inspectors across Long Island and surrounding communities for almost three decades. We have built a stellar reputation because of the quality of our work, professionalism of our technicians, and our business ethic. Whether you are buying or selling in Brooklyn, The Home Inspector Experts can provide crucial information to help you finalize your real estate decision. An inspection can make the difference between a bad real estate investment and a good one. A good home inspection is comprehensive in scope. It should only be conducted by a technician with good experience and the right tools. All of our inspectors are experienced, skilled and well trained. They can evaluate anything from a single family home to a multi-family dwelling including apartments or condos. Our technicians will check any space readily accessible to provide the most accurate and thorough report for the client. Three types of inspections are available. Within these inspections, there are numerous tests and evaluations conducted. A pre-purchase inspection: If you have made an offer on a home, you should order a home inspection during your due diligence period. It’s good for you to know if there is anything of concern with the structure. Even if a homeowner has provided their inspection report, it’s always prudent to order your own. Pre-listing: As a home seller, it’s better for you to know what is wrong (or right) with your home before you list it. Listing it without an inspection means that if there is something wrong, the potential buyer is likely to find it during their due diligence period and use it to their advantage during their negotiations. New construction: Buying a recently built home is no different than an older home when it comes to inspections. Inspections will often turn up things which might have gone wrong during construction. It’s always better to know this before you close on any new construction so that the builder can address them. We invest in the latest technology and tools for our inspectors to use during their evaluations. This allows them to conduct the most thorough inspections possible on behalf of our clients. The technology and tools combined with their expertise position us to be among the best of Brooklyn home inspection companies. We offer two reports for each client: verbal and written. For customers present during the inspection (highly recommended), our technicians will keep them updated on their findings as they work their way through the dwelling. Also, we will also provide a fully comprehensive written report along with photos. All of our reports are maintained confidentially unless a client asks otherwise. We have licensed home inspectors in the state of New York. We also go the extra step to be certified in the industry by the International Association of Certified Home Inspectors (InterNACHI) & American Society of Home Inspectors (ASHI). 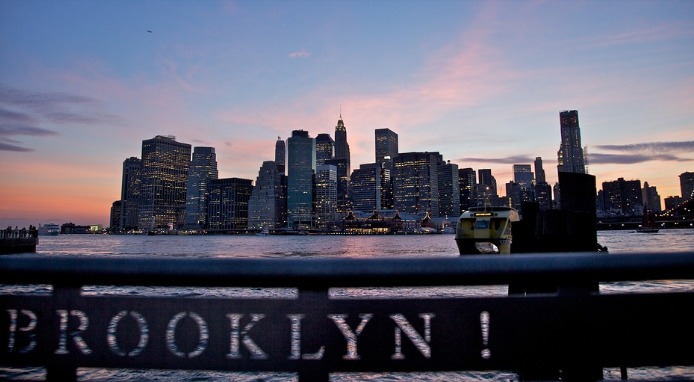 We serve all areas of Brooklyn into the areas surrounding Long Island, New York. These areas include, Suffolk and Nassau County as well as Queens and Manhattan. If you’d like to learn more about our services and other regions we serve, please contact us. Our most popular services would be our pre listing, pre purchase, multiple family dwelling, termite and condominium inspections. You can call today for a no-obligation estimate or an appointment. We look forward to hearing from you!